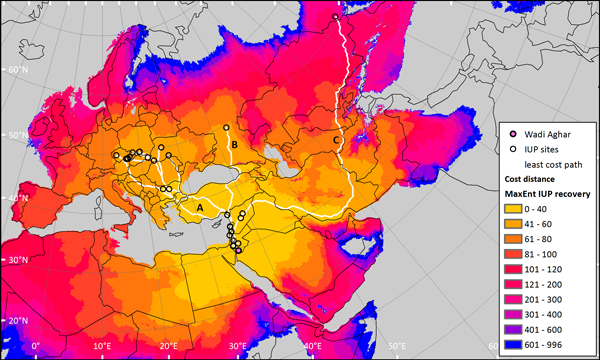 表題：Ecological Niche and Least-Cost Path Analyses to Estimate Optimal Migration Routes of Initial Upper Palaeolithic Populations to Eurasia. 掲載誌： The Middle and Upper Paleolithic Archaeology of the Levant and Beyond. In: Nishiaki Y., Akazawa T. (eds), Replacement of Neanderthals by Modern Humans Series. Springer, Singapore, pp. 199-212.